Hirschmann offers a wide range of AC and DC power supplies. Units with AC power input ranges extending from 100-240 VAC and 100-375 VDC are available. Units are also available that convert to either 24 VDC or -48 VDC. For applications where water might be present, two IP67 models are available. Convenient DIN-Rail mounting is available. The Hirschmann power supply products have been tested for electromagnetic interference and for safety. They have all of the relevant approvals. 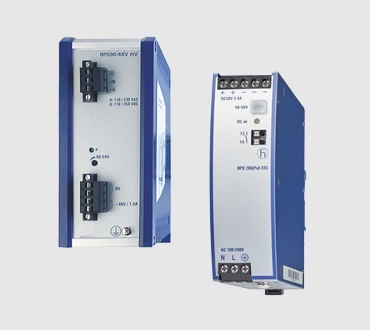 The products offer a reliable power source for sensitive loads in many industrial automation environments where equipment is exposed to harsh conditions.